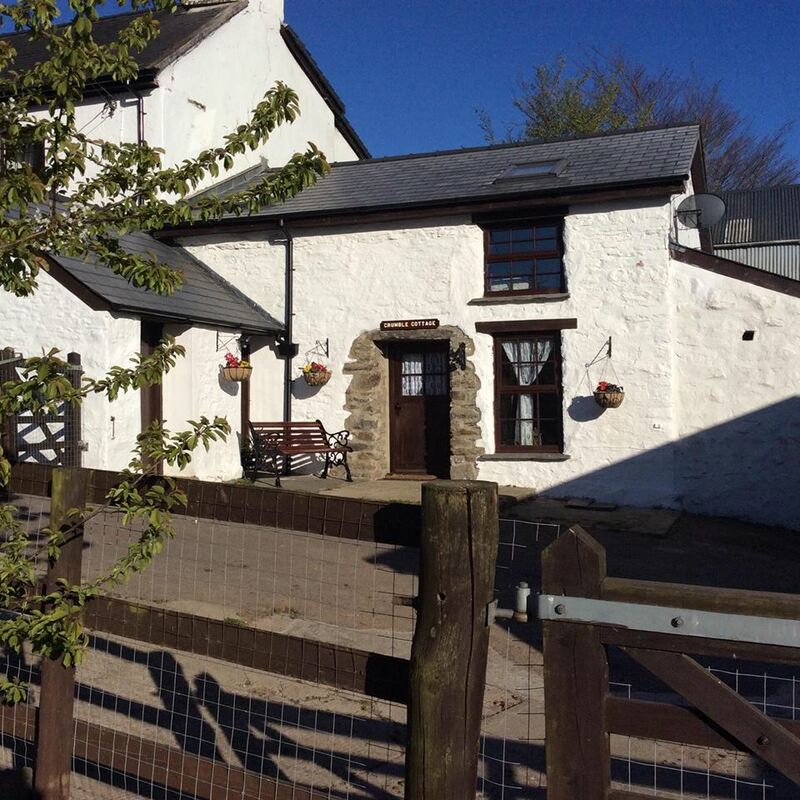 Crumble Cottage offers outstanding self catering accommodation on a beautiful countryside farm near Llanon. 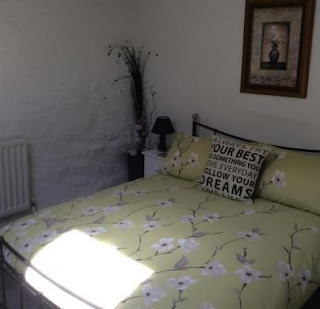 It is ideal for a relaxing and peaceful break in Ceredigion. This charming cottage is a recently converted milk parlour. The property is set in 15 acres of glorious land. You can admire spectacular views of rolling countryside and coast. The living area is perfect for relaxing in. Facilities include a real flame effect electric heater, flat screen TV with Freeview, comfy sofa and armchairs. 3 steps lead to the fully equipped kitchen. The dining table seats up to 6 people. Upstairs there are 3 bedrooms which sleep up to 5 people. They can be made as either a twin or a double. The lovely farm has lots of farm animals to see, including pigs. The hamlet of Bethania is perfect for countryside lovers. Many walks and cycle routes are nearby. Aberaeron is worth visiting, famous for its colourful houses, restaurants and Llanerchaerton Estate. A number of great days out are nearby, including Vale of Rheidol Railway & Cardigan Castle.